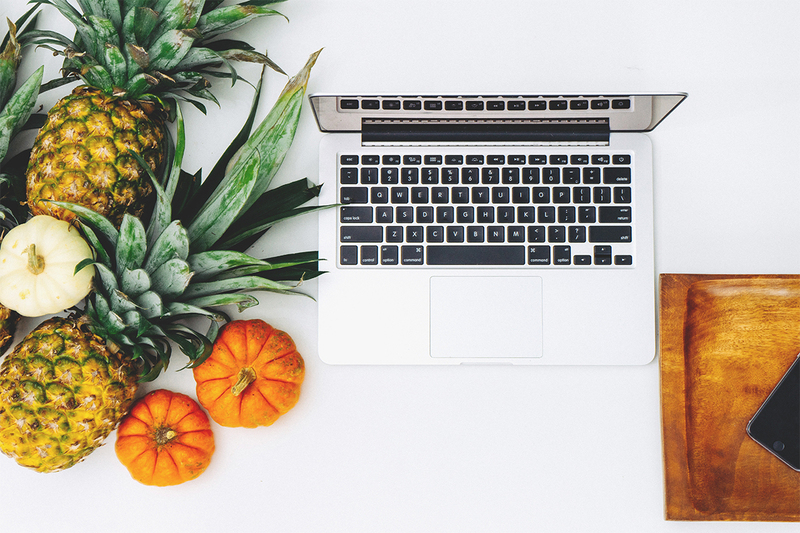 With the incredible progress seen in web design lately, it is not enough to focus solely on posting just the relevant information any more. Today, Internet users also want to be entertained while exploring the content. One of the most popular techniques that can provide such a facility is the parallax scrolling effect. Formerly used in video games, it entered the web design industry in 2011, when Ian Coyle used it for “Nike Better World.” Since then, more and more designers have started incorporating the parallax effect into websites with the help of HTML and CSS technologies. So, let’s find out what this trend is all about and why it is one of the major choices in the web design community nowadays. In simple terms, the parallax effect is based on the movement of website layers at different speeds while page scrolling. As a result, the upper layer sticks out slightly, making the background seem deeper. With such an illusion of depth resembling a 3D look, the layout becomes more fluid and interactive. Complemented with a lazy load technique, it can have a positive impact on page loading times. What’s more, this kind of animation is consistent with multiple browsers, which makes it a suitable option for different web environments. 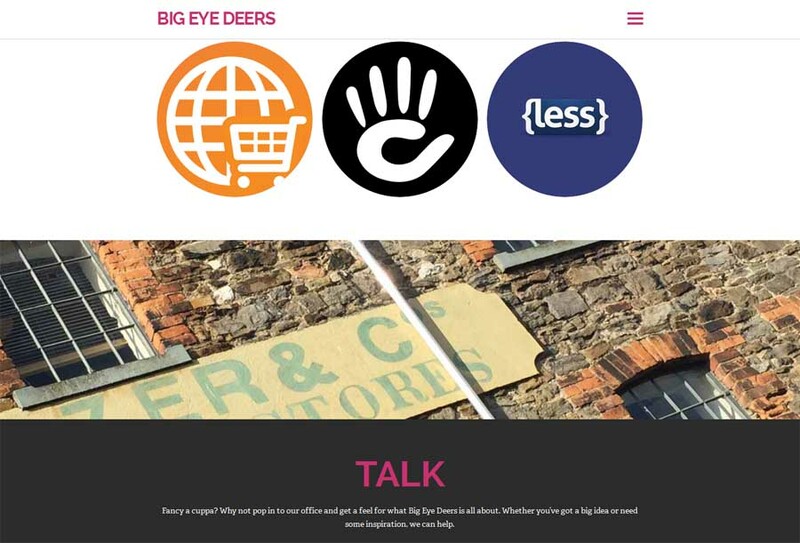 Now, let’s figure out which types of websites are most suited to the parallax effect. First of all, this technique is widely applied to single-page sites focused on storytelling and navigated by scrolling rather than clicking. Next, it is often implemented on mobile-optimized pages that people also browse by scrolling. Besides interactivity, there is a more practical benefit generated by the mentioned effect. 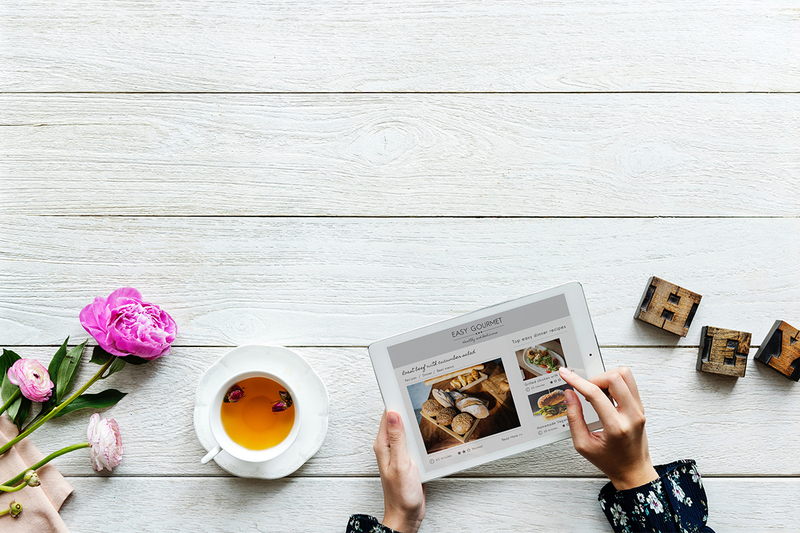 Many merchants integrate it into their e-stores to create a 3D presentation of inventory that can be controlled by shoppers themselves while they are scrolling. By comparison, static images of products can’t provide an opportunity like that. If you are interested in spicing up your site with a parallax effect, you can find some sparks of inspiration below. 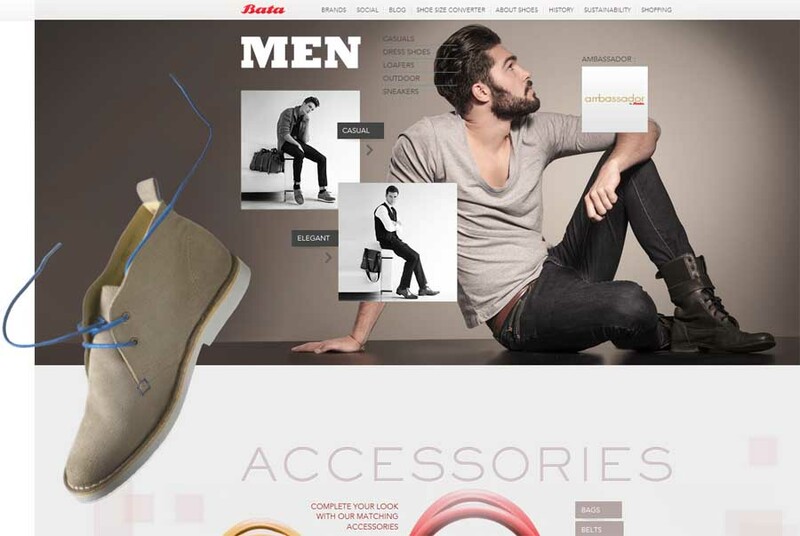 We have prepared a selection of websites that take advantage of this hot trend in different ways, covering any taste. 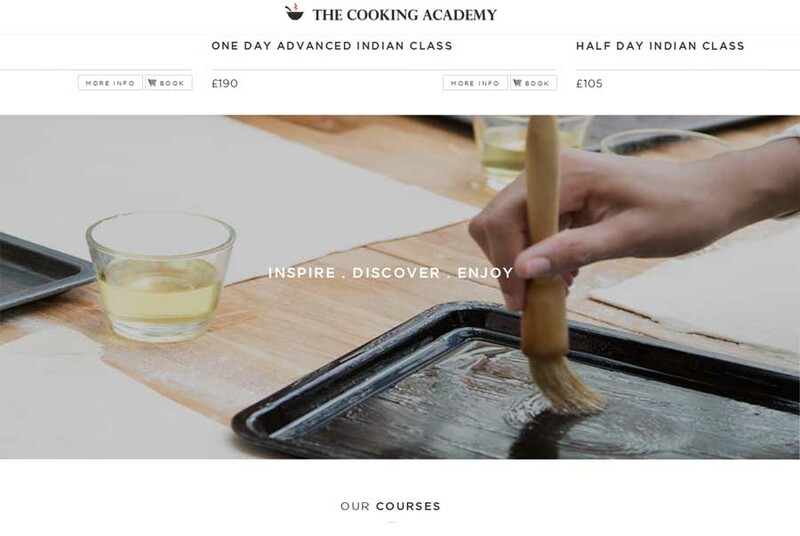 Some of them feature parallax backgrounds throughout their layouts, while others make minimal use of this technique, implementing it only in the header or closer to the footer. 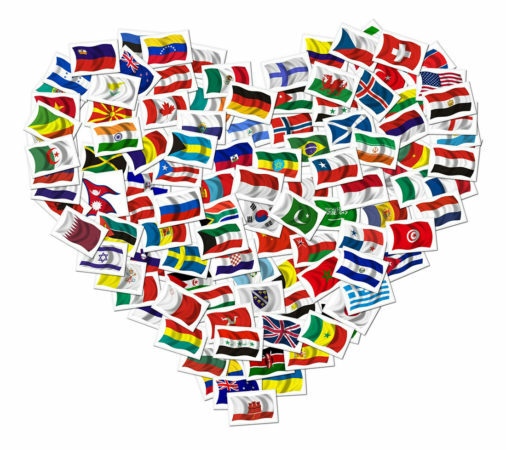 Take note that the sites listed below are of different kinds, e.g. personal portfolios, e-stores, religious portals, digital agencies, etc. It proves that the parallax effect is a multipurpose solution for a wide range of web resources. So, if you need some creative ideas on incorporating it into the design of your site, look through the following screenshots. 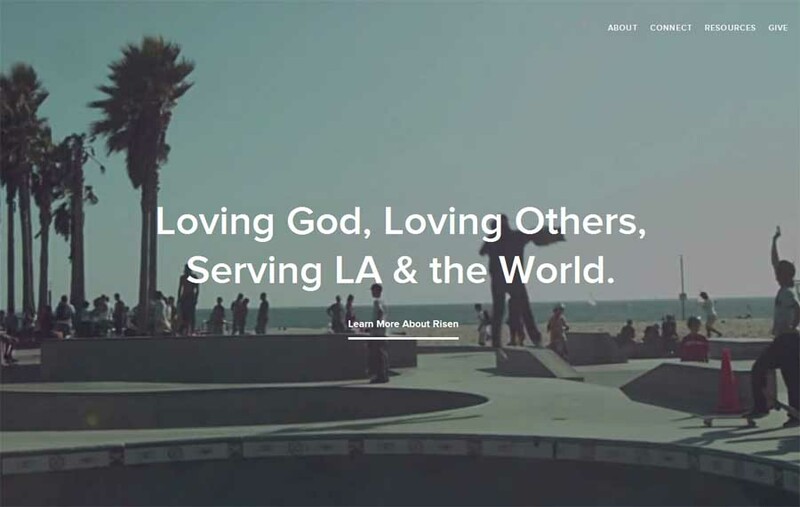 If you are looking for church themes that are based on WordPress you might consider some of these themes. Are you impressed with all the visual tricks that the parallax scrolling technique can produce? If you are, you should definitely give it a try. And there are two ways to do that. 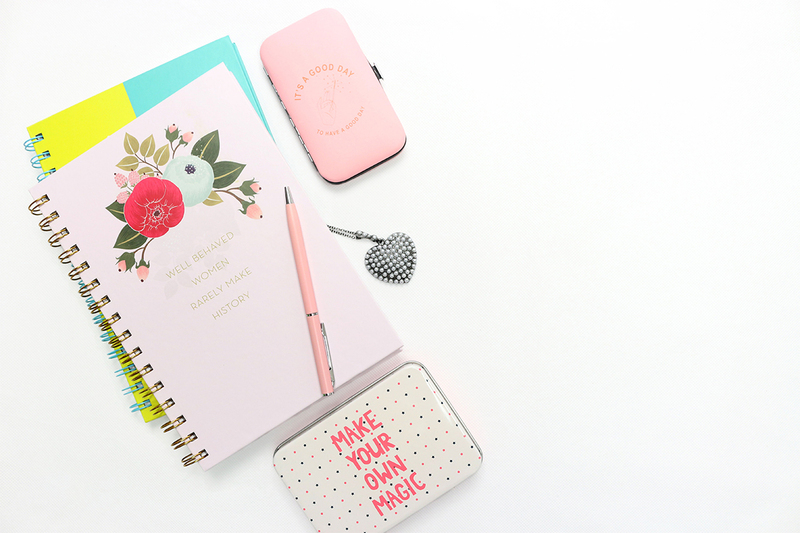 You can either order a custom design or get a ready-made theme, which is a much cheaper option. So, if you prefer the latter, we have compiled a set of reliable companies developing parallax WordPress themes of superior quality. Check them out below. The first company we’d like to introduce to you is TemplateMonster. Launched in 2002, it has developed WordPress themes for 9 years and parallax WP themes for a about year. 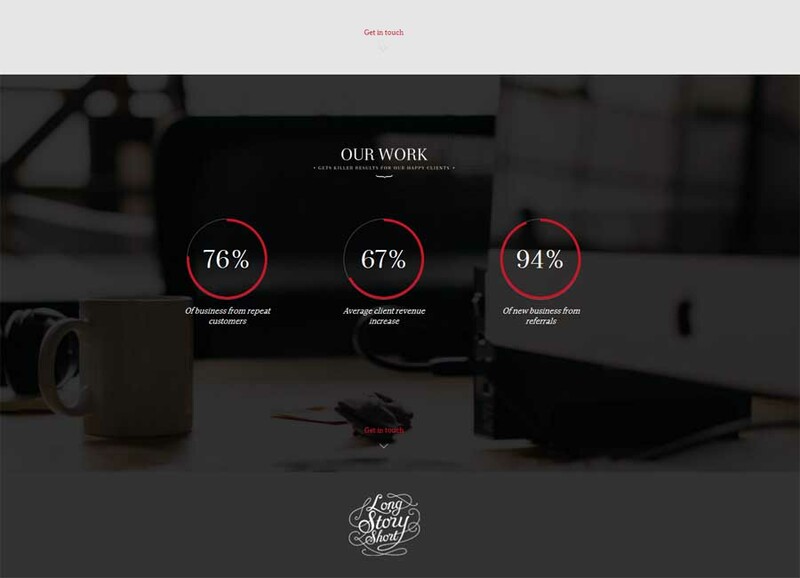 Over such a comparatively short period, TemplateMonster has released more than 200 parallax WP themes. No other web design company out there can boast of such an extensive assortment containing designs for various business niches. Art, cars, education, entertainment, fashion, food, medicine, real estate, – these and many other fields are embraced by TemplateMonster’s parallax WP themes. To help you find an appropriate selection faster, you can narrow down your search by categories, features, popularity, date, style, color scheme, and WordPress & Bootstrap versions. 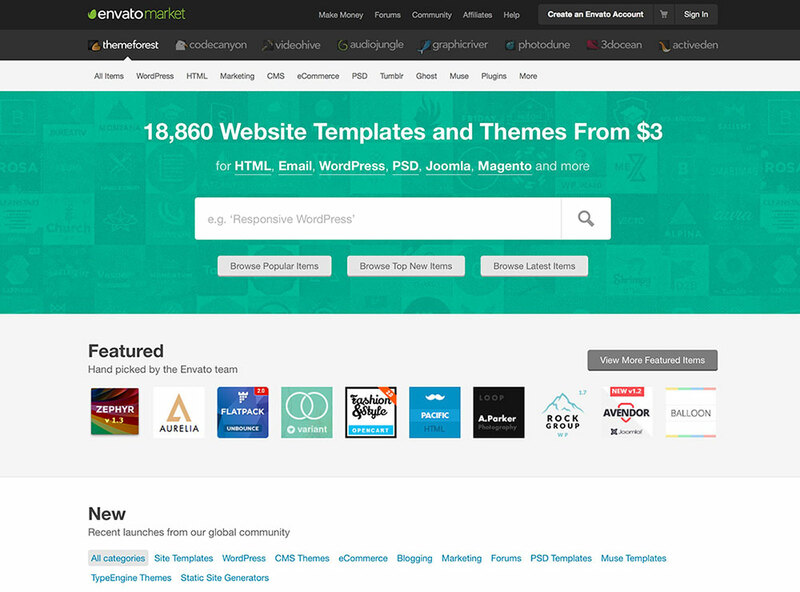 Themeforest is part of Envato Market that brings together buyers and sellers from all over the world. 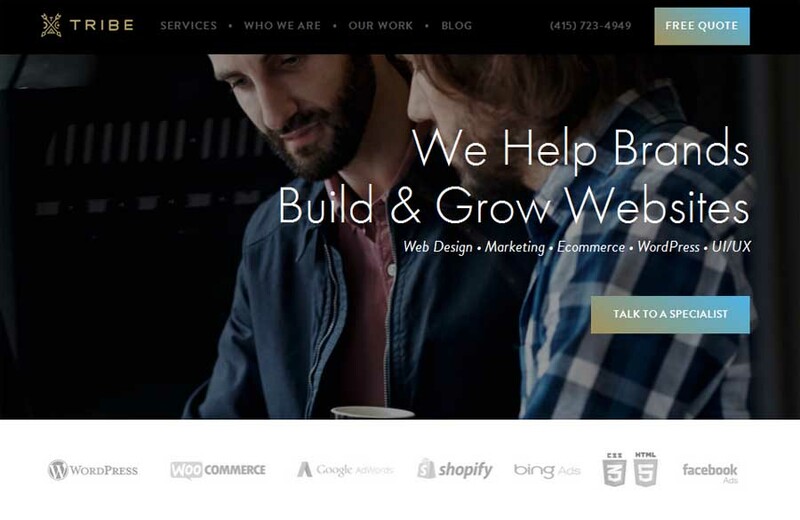 Right now there are over 18,860 website template for sales and most of theme are created specially for WordPress. It is by far the largest and most popular marketplace and it has paid over $224,000,000 out to its community of developers, designers and other creatives. 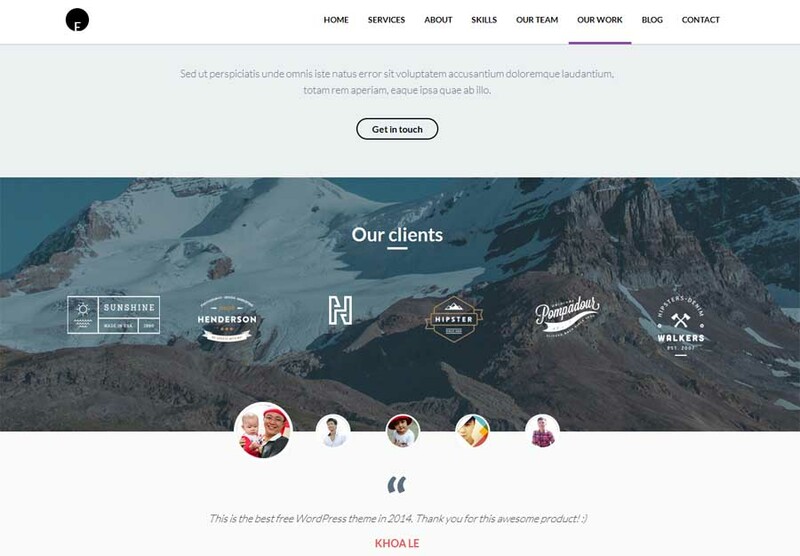 On ThemeForest you can find WordPress themes for any website starting from a simple blog all way to complex multi purpose community driven platforms such as BuddyPress themes and more. 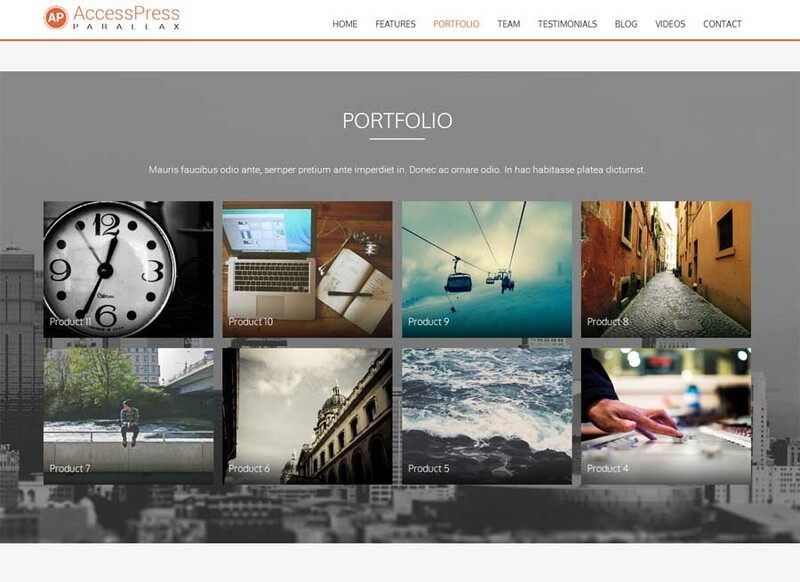 The next company that has premium parallax WP themes in its inventory is StudioPress founded in 2007. Unlike TemplateMonster, the site of StudioPress doesn’t have a direct link to parallax WordPress themes, so you are welcome to browse through them manually. However, you can still sort the options available in the company’s catalog by such criteria as categories (enterprise, magazine, photography, etc) and features (HTML5, mobile, color styles, etc). 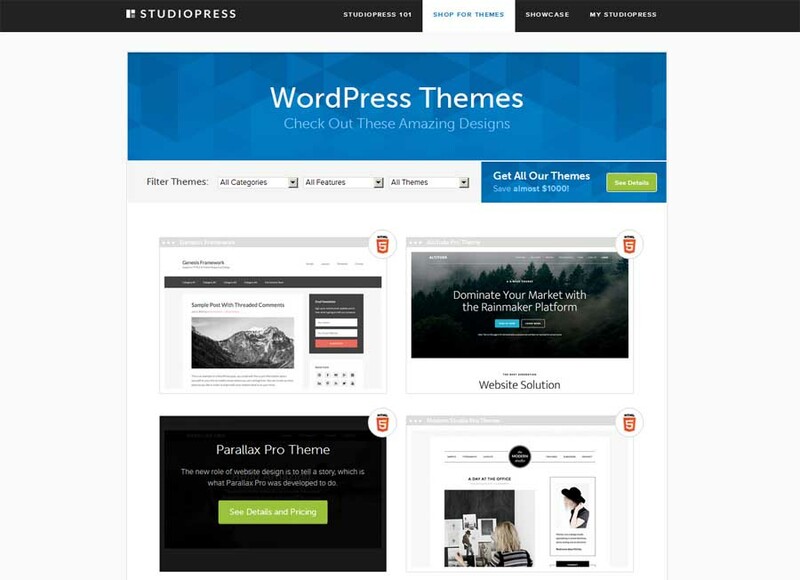 All the StudioPress themes are built with Genesis Framework, a powerful tool that will make your site SEO-friendly, secure and modern due to regular updates. Here is another marketplace with professional parallax WordPress themes. To find them, you should type the word “parallax” in the search bar. For ease of browsing, you can sort them by sales, date, and price. 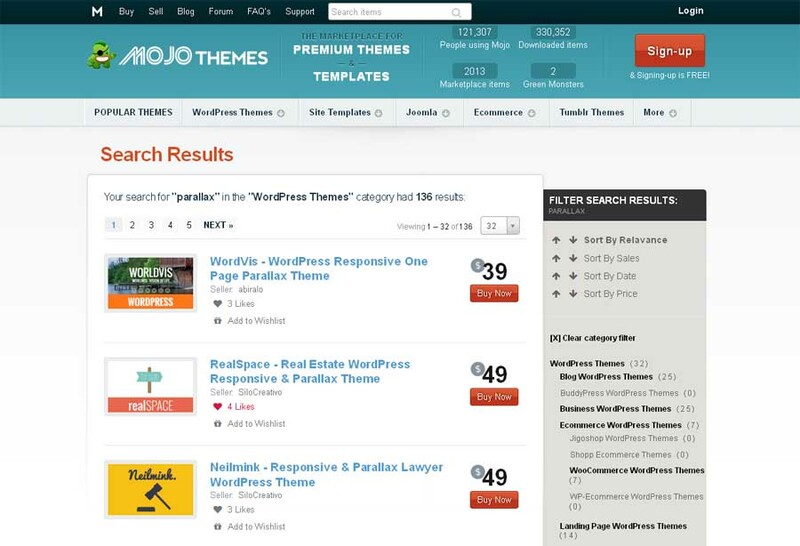 Keep in mind that all the Mojo WP themes can also be filtered by the following categories: blog, business, mobile, portfolio, plugins, eCommerce, magazine, frameworks, etc. On top of everything, the last three even have subcategories so that you are able to find the design meeting your requirements in no time. In the inventory of Zolo, there are also cool parallax WordPress themes developed with the user in mind. They feature multiple templates, shortcodes, social icons, and a custom admin panel allowing you to manage your website logo, header, footer, and other aspects. As each theme has been tested for robust coding and responsiveness, it will provide adequate functioning of your site anywhere, be it a desktop computer with a high-resolution monitor or a mobile phone with a narrower screen. To facilitate your search, there are many tags on zolothemes.com, and one of them is “parallax,” which will be helpful for you. 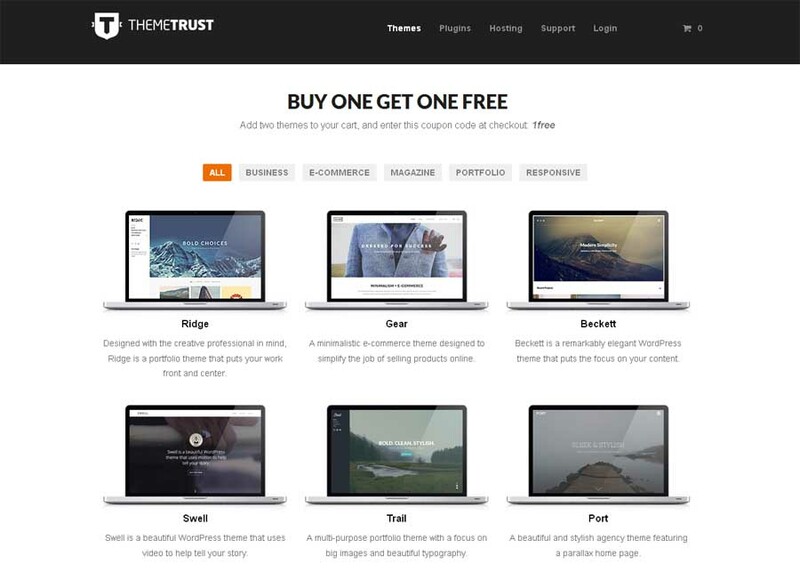 If you need an elegant design enhanced with a parallax effect, visit the site of Theme Trust. The company develops clean WordPress themes, where the aforementioned technique is implemented in different ways. Some of them boast parallax banner areas, while others provide parallax full-screen slideshows. There are also themes that feature parallax homepage sections across their layouts. As you see, you will have many options from which to choose. When it comes to finding parallax themes on themetrust.com, you will need to read their descriptions, but it won’t take you long. The designs are also divided into business, eCommerce, magazine, portfolio, and responsive categories. 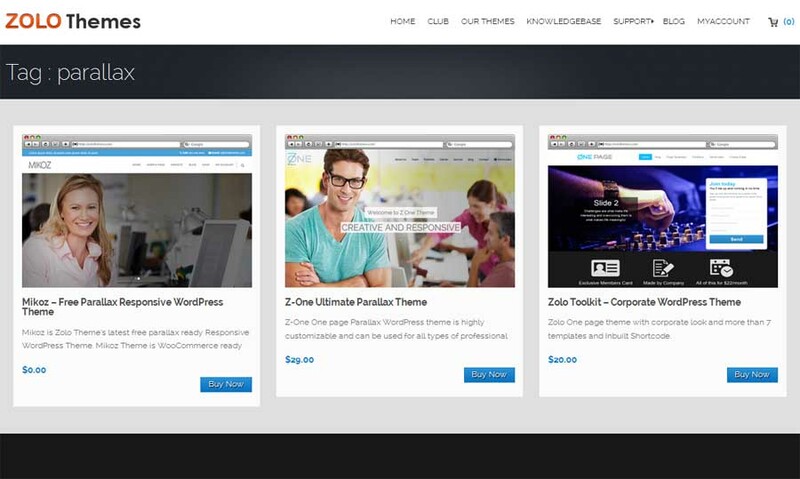 GavickPro has released WordPress themes since 2007, and over that period the company’s specialists have enriched its inventory with a number of parallax designs. 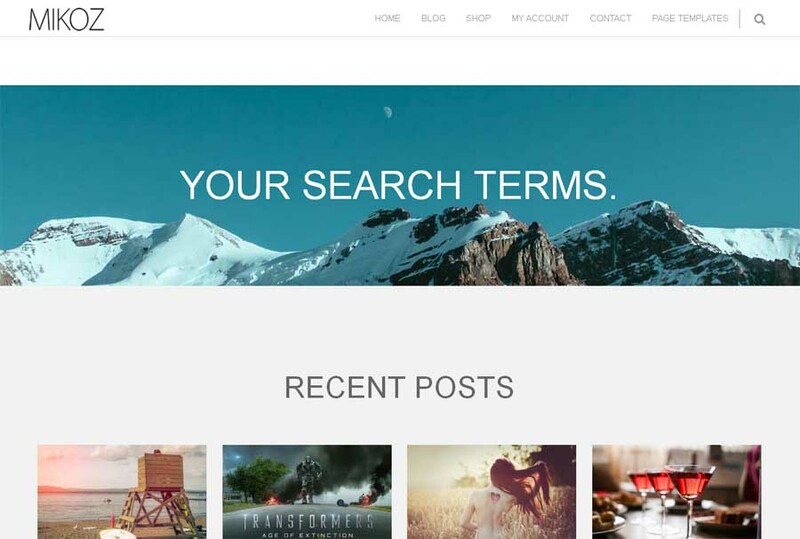 Although there is no individual category for parallax WP themes on gavick.com, you will easily come across them once you enter the company’s official site. Depending on your business niche, you will have an opportunity to look for parallax designs in the following categories: blog, eCommerce, education, events, game, hosting, music, portfolio, restaurant, and much more. To characterize GavickPro offerings briefly, they are responsive, lightweight and prebuilt with powerful plugins to extend the functional capabilities of your portal. 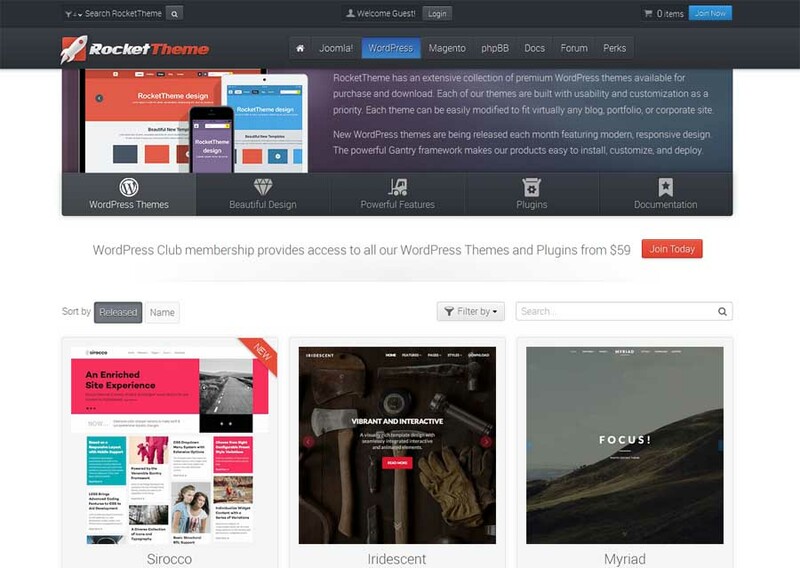 The last provider of premium parallax WP themes on our list is RocketTheme. Working on their projects, the company prioritizes two important aspects, particularly usability and customization. In such a way, their themes can be adapted to different types of websites, from blogs and portfolios to corporate portals. To let users benefit from the latest web technologies, RocketTheme items are integrated with lots of modern features and even support third-party plugins. They are also powered by Gantry framework, which ensures effortless installation and customization without modifying a single line of code. On rockettheme.com, parallax themes can be selected manually by reading descriptions or watching demos. 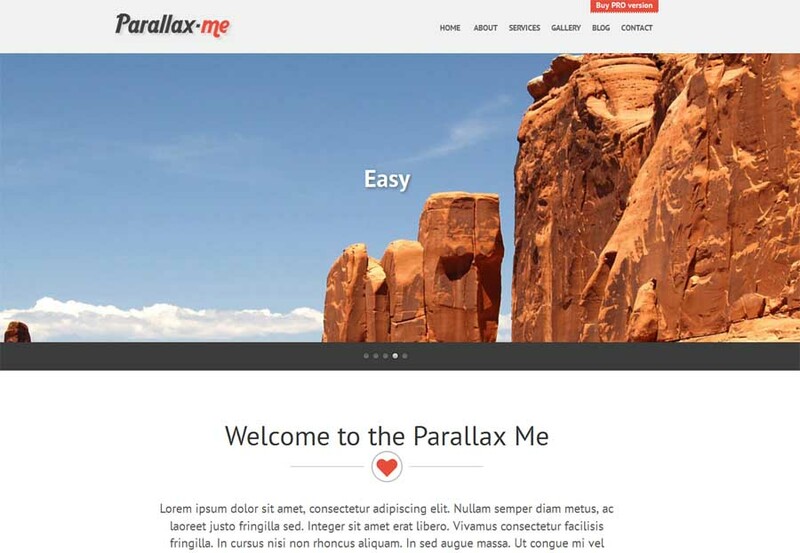 If you need to keep to a tight budget, we have also prepared a set of free parallax WordPress themes for you. There aren’t a lot of them out there, but we’ve still found some and included the coolest options in our set. Look through their designs below. 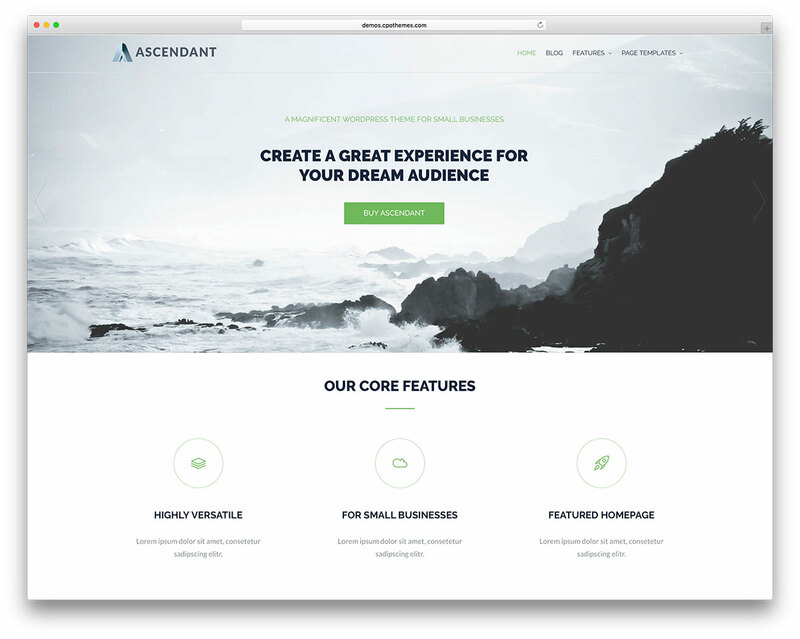 Ascendant is a brand new incredible multipurpose WordPress theme. It has a very simple and flexible set up and 3 different versions. You can get the free, the pro, and the subscription version. Ascendant has a responsive layout both for screen sizes and browsers compatibility. 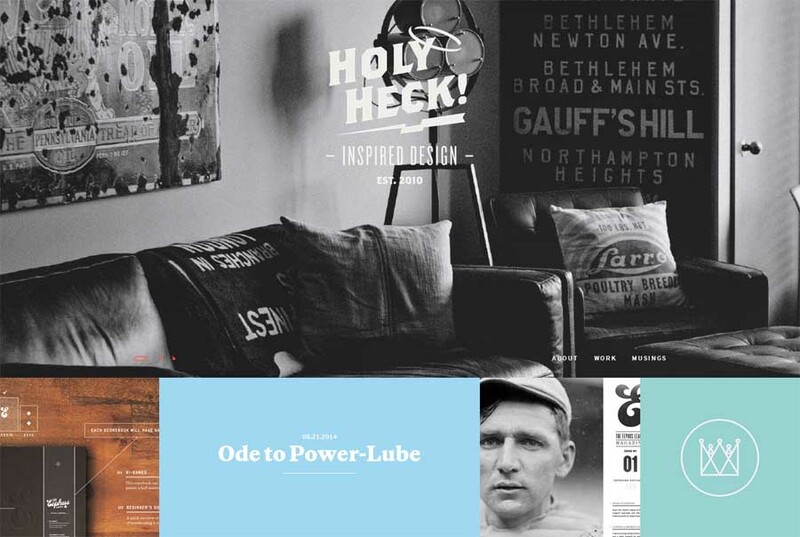 Headers and footers are featured alongside unlimited colors. You will get +100 Google Fonts for typography and many sidebars designs. Ascendant uses lots of shortcodes to simplify panel setup and customize experience. This is a well praised WooCommerce compatible theme with many add-on extras. Start to use it now and don’t forget to try its other versions. Get Ascendant! 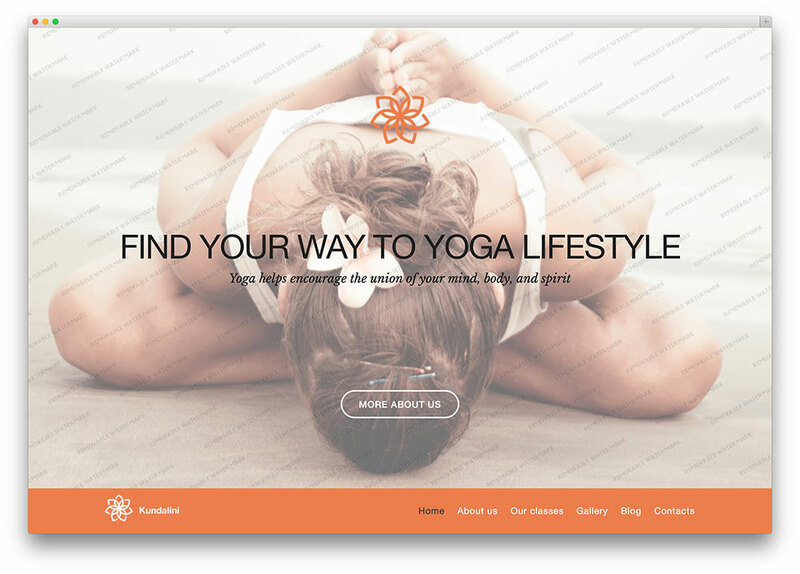 Kundalini Yoga Club is a clean, stunning and completely free parallax scrolling WordPress theme well suited for yoga, fitness club, gym, business or any other awesome website. It is flexible enough to be used for any small to medium sized business. Theme is fully responsive and will look stunning on any mobile device. OneEngine is a multipurpose theme powered by WordPress and supplied with an easy-to-use layout builder. Its one-page layout is enlivened with parallax backgrounds and lazy load effect to improve your website performance. There are also many other elements contributing to its visual appeal, namely a full-width slider, mosaic gallery, sophisticated icons, counters, block quotes, and pricing tables of a round shape. Here is a fresh WP theme with a powerful admin panel, which makes it easy to modify text and image in the parallax section. Integrated with WooCommerce, Mikoz will help you make sales directly from your site. What’s more, its functionality is supplied with a responsive flex slider, filterable portfolio, contact form 7, and other options. SKT Parallax Me is a one-page WordPress theme meant for photo blogs, corporate portfolios, and personal sites. It is notable for a parallax, full-width slider and a sticky menu bar with dropdown categories. 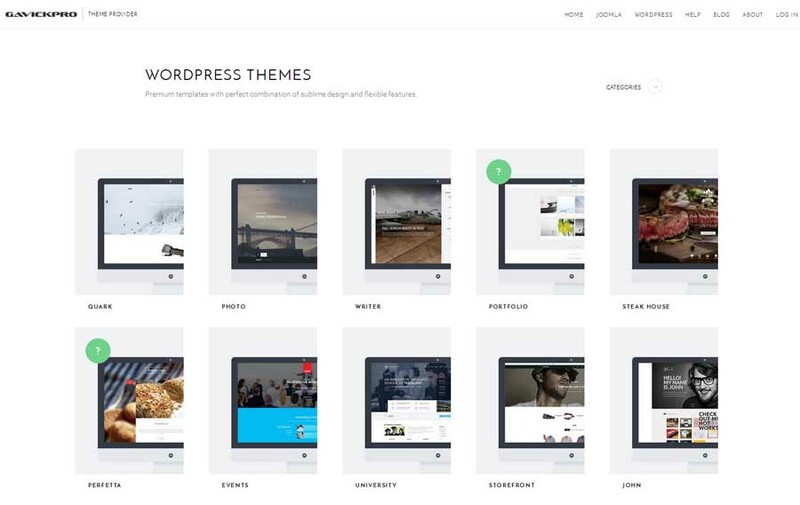 Using this theme, you can embed up to 10 content sections into its single-page layout. This free responsive WordPress theme has a multi-layer design flavored with the parallax effect and smooth CSS3 animations. To provide an individual look for each content section, it is prebuilt with layouts for services, blog, team, portfolio, and testimonials. AccessPress Parallax also comes with an intuitive admin panel, advanced posts settings, configurable slider and color & font customization options. Thus, you can modify its look the way you like. 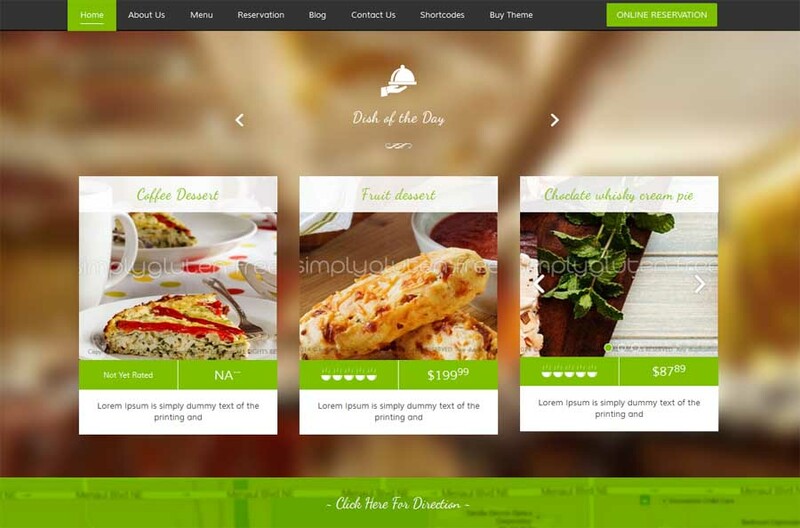 Foodeez Lite is a stylish WordPress theme designed specifically for websites related to the hospitality industry. It has a full-width background image with floating navigation and a parallax section allowing for a vivid demonstration of your offerings. Furthermore, the theme has been optimized for mobile screens and successfully tested in the major browsers of today. Here we are. We hope that you will find our post both inspirational and useful for your website design, whether you are working to a budget or not. 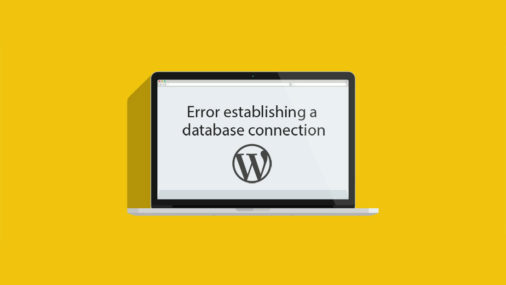 If you decide to start with a free parallax WordPress theme, don’t forget to back up your site before installing it. Such a prudent measure will help you avoid any unforeseen circumstances.